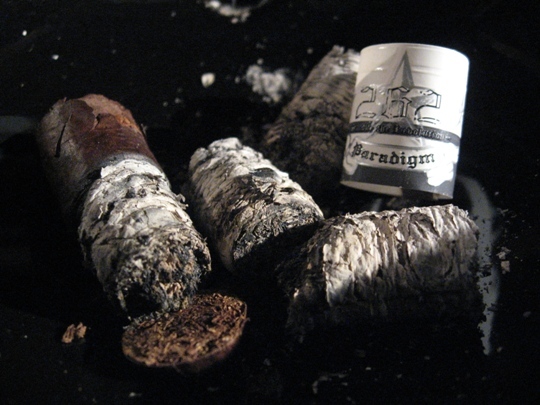 The Paradigm line has an interesting combination of tobacco that always made me wonder how they melded together. The filler is made of 3 types of tobacco, Seco and Ligero from the wonderful Esteli region of Nicaragua and some Cubito from Columbia. Holding the filler together is a Honduran binder, which is also where the factory is located. And finally the cigar is wrapped with a Brazilian leaf. I must say it sounds like a tasty combo! The Revolution Cigar Co. is fairly active both in the online and B&M communities, making multiple appearances in the various cigar shops and holding a strong online presence. You can find their Facebook and Twitter pages from their home page too. I’m no marketing genius but I must say this was a great move by Revolution and it has no doubt helped spread the word about their cigars much faster. 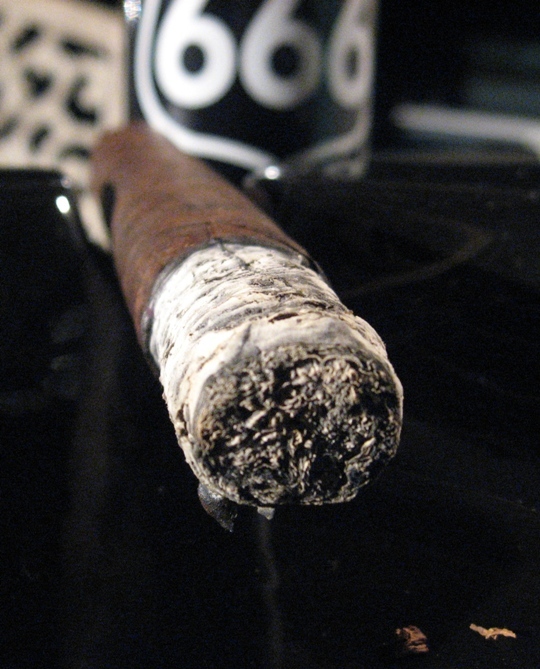 I’d like to thank @jakrell and @thecigarnut for sending this stick over to me and I hope you enjoy the review. ●	Once the draw opened, I got a good mouthful of smoke, much better. 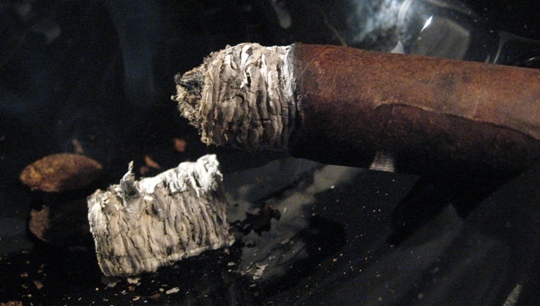 This cigar had a great progression from mild and quiet flavors to something with a little more body and complexity. It burned excellently and slowly making for a great experience. I wasn’t sure what to expect from this cigar. It has a price tag that some would say is a bit higher than normal and is still a fairly new company, but it justified it’s price in great burn, quality and flavors. 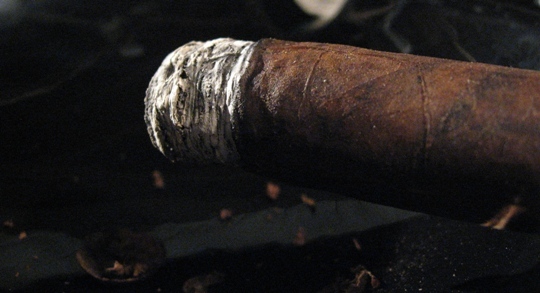 To my surprise, I must say I was pleasantly impressed by this cigar. Definitely worth a try and I’ll be looking for more in the future. Besides a slightly gimmicky name and recipe, this is actually a very tasty IPA. There’s a handful of hoppy bitterness in this brew but it’s well balanced and doesn’t leave a bad taste. It has a nice dark amber/ruby tone to it and a mouthful of enjoyable flavors. 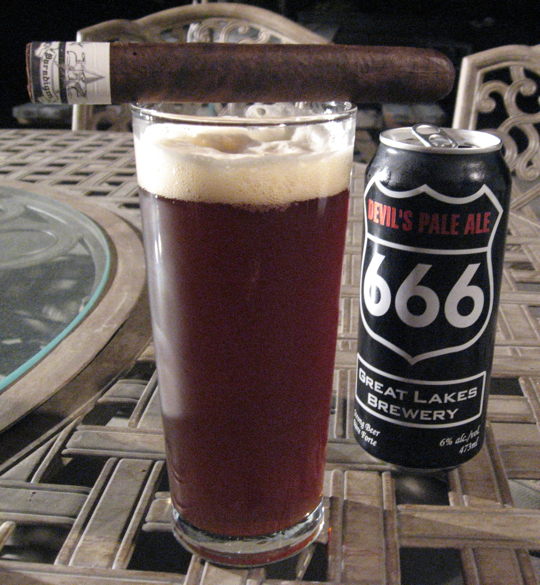 It paired fairly well with this cigar and could likely hold up well even against a full bodied stick. 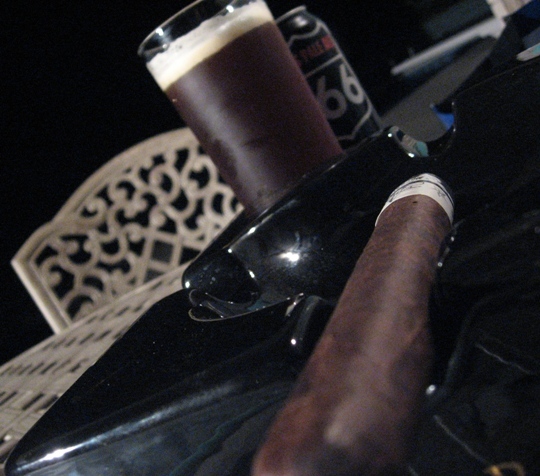 Other good pairing for the 262 Paradigm could be a full bodied wine, port, stout, dark diet soda, or a strong coffee. Great review Daniel, loved your insight to the blend. I had the opportunity to meet and spend some time with Clint from 262 in New Orleans. He is a great dude, passionate about the industry and has some very creative energy going around the 262 brand. 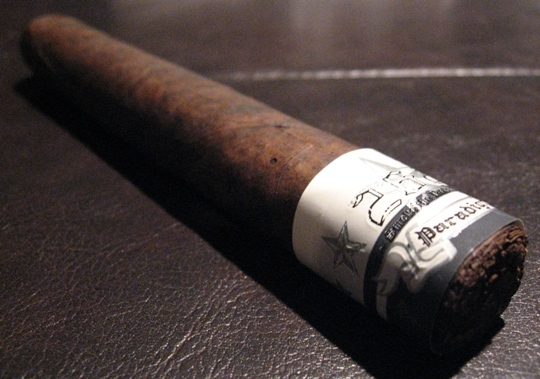 They are making some great cigars and are gaining serious momentum in the market right now. Folks, if you have a chance to attend one of their events, do it – you won’t be disappointed! Keep up the great work Daniel! Enjoyed the review! Need to get that cigar here in DC! Nice review, Daniel. We’re carrying the 262’s now, and they’re doing very well for us. Great stick! 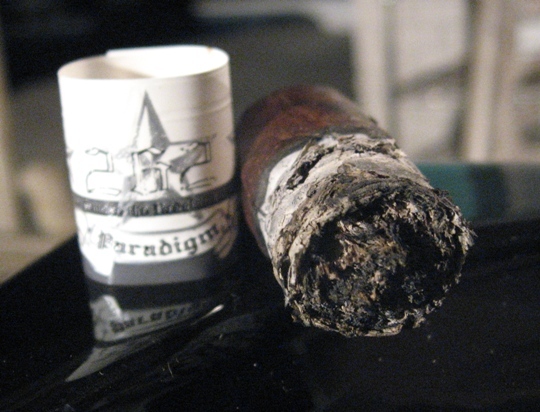 I smoked one of the 262 Paradigm Toros yesterday for the first time; definitely agree with Daniel on it being a surprisingly good stick–would definitely smoke again. Thanks to Frank the Bodyguard for passing it my way. I have to say I was very disappointed with the toros I smoked. First off a cigar company should establish itself with a decent priced good smoke before the throw out the premium priced smokes. I thought these were way too mild and need some age on them. 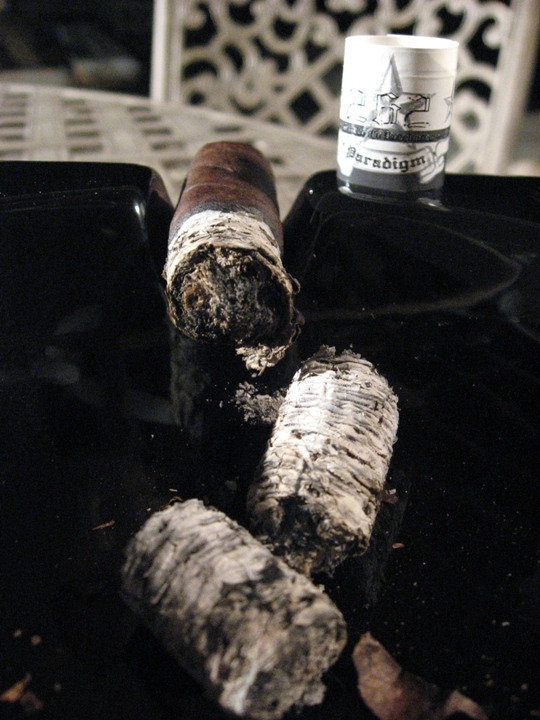 I don’t mind a good mild smoke, but these were just too light, one dimensional and boring to me. Taste is subjective, but I have seen a lot of comments saying the same thing. I can see these being closed out in the future really cheap.